Delhi | July | Tuesday | 28, 2015 :: Capital city Delhi has an extreme weather pattern with high variation in summer and winter temperatures. Yet Dill-walon-ki-Dilli (Delhi – city of the heart-full) welcomes tourists from all across the globe wholeheartedly throughout the year. 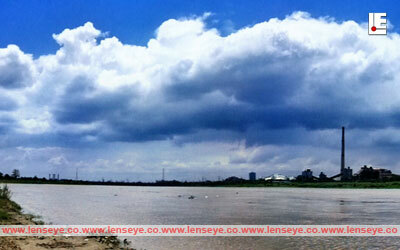 This week clouds were prominently seen with various patterns in the clear blue sky. People staying in NCR have been enjoying the weather in spite of busy schedule. Photograph & Content by Garima Sharma.